I went to see the theatrical version of Jung Chang’s best seller Wild Swans, which is currently on show at the Young Vic theatre, in London. Chang recounts the lives of herself, her mother and her grandmother against a backdrop of China’s twentieth century history. My personal feelings about her autobiography are complex. Reading it at 16 was my initial foray into Chinese history. If I had not read the memoir and from it developed an interest in China, then I might not be where I am now. On the other hand, its portrayal of what has become ‘the Chinese experience’, for the west, is often lambasted by scholars as providing a one dimensional perspective. This critique of Chang’s work is particularly intense in light of her recent biography of Mao. The line, then, is drawn in the sand, between those who study China and the general reading public, over books like Wild Swans. 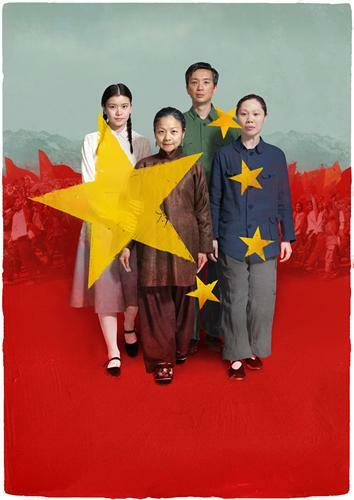 Despite my conflicted personal agenda, I knew I had to see the play, if only to find out how they could fit the Mao era into a 90 minute stage production. The plot provided flashes of socialist construction in the 1950s, the Great Leap Forward and the Cultural Revolution, while remaining tightly linked to the story of one family. Chang’s father was a Communist official, who was criticised during the Cultural Revolution for a letter he had wrote challenging the excesses of the Great Leap Forward. At times sweeping statements and grating British and American accents aggravated me, but visually the production was stunning; the idea being that the actors would literally move the set around themselves, to mimic the fact that people built a new society, from the ground up, in 1949. The tale of pre-1949 China was told through puppetry as CCP members spoke to the peasants, telling them about the horrors of landlord rule and encouraging them to build a new society. The floor of the stage covered in earth, was swept away as the actors sang revolutionary songs and the paint on the white walls was washed away to reveal propaganda posters. Likewise the bleak flooded rice paddies of the 1970s drained away to revel a video installation showing images of twenty first century China, intended to remind the audience that China’s current superpower status has come at a very high price. As I left the theatre however, I felt something was lacking, I worried that studying revolutionary rhetoric had numbed me to the enormity of China’s historical experience, but my companion reassured me that, despite the visuals, it was the play on a theatrical level that did not work. In terms of packing an emotional and intellectual punch, something was missing and I felt the play was to brief to engage with important issues. Rebecca Scott is a Phd student in ESRC DTC. 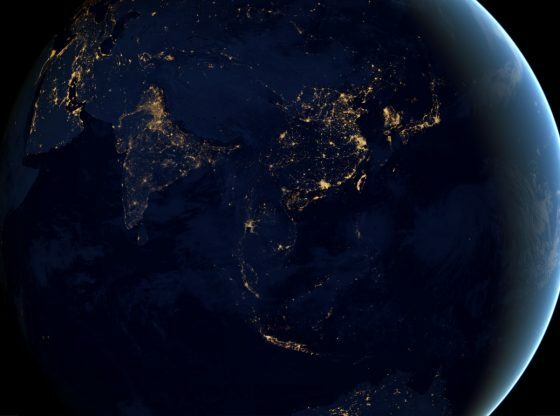 Opinions expressed in the CPI blog do not represent the views of the China Policy Institute or the School of Contemporary Chinese Studies at the University of Nottingham. They are the personal views of the bloggers/authors. A Bright future for the Chinese food and drink industry: Guang Ming buys Weetabix! 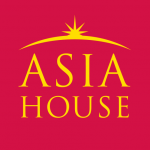 It’s great to read your blog about a play related to Chinese history. I am a Chinese student studying in London cuurently. I went to see the play Wild Swans too. 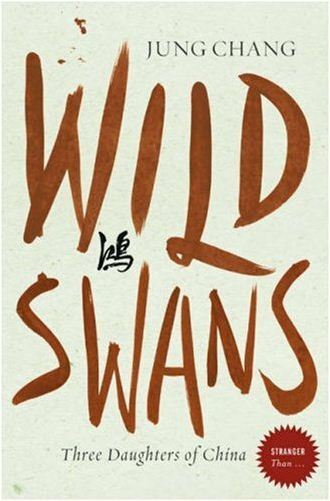 As a Chinese, born in 1980s, the period of history depicted in Wild Swans has provoked me to think a lot of contemporary Chinese history and society. Talking to some of my fellow classmates also from China, I realised our generation’s knowledge of Great Leap Forward and Culture Revolution has been so limited since that period of history is seldom discussed in public sphere in China. For myself, I have read the book Wild Swans before seeing the theatrical production. Leaving aside any comment on the adaptation of reproduction work , the theatrical performance still shocked me with contemplation: How tragic it can be when a society does not “live in truth”. Thoughtful review and profound comment after the spam. This article was a good read. I can’t stop thinking how it be a good idea for someone from the modern Chinese generation to write a “Wild Swans” style book on their own family history in contemporary China to compare it with Wild Swans to see how the young generation view their own contemporary history. I too would very much like to read that book, if it was ever written. Based on my own observations there is a huge demand for oral history about the Maoist period in China. In conversations with young Chinese I have noticed that there is a huge gap between the official historiography of the period from 1949-1978 and the family histories, which are often not openly discussed. So I would encourage students of Contemporary China to pay more attention to this topic and to find ways to critique official narratives of China’s contemporary history and juxtapose the grand official narratives with the small narratives yet to be told by Chinese citizens.